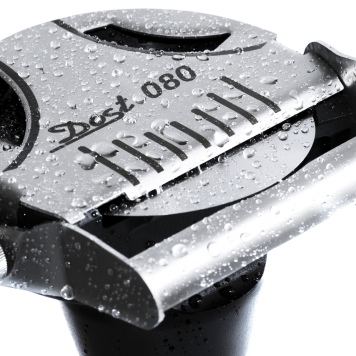 Heavy Duty Waterproof Dost 100 is a comfortable model that meets the needs and wishes of the users. The product is defined with the slogans “light, quiet, fast and ergonomic”. 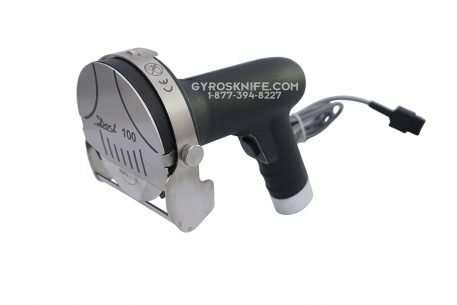 Simple operation, ergonomic handling, convenient cleaning (flushable under running water) and one finger slice thickness control, makes Dost 100 a very easy choice for any restaurant owner. The ergonomic design is adapted to the natural human body movement. Don’t spend money on training people how to cut meat, all you have to do is adjust slice thickness, and cut only the cooked part of the meat cone. 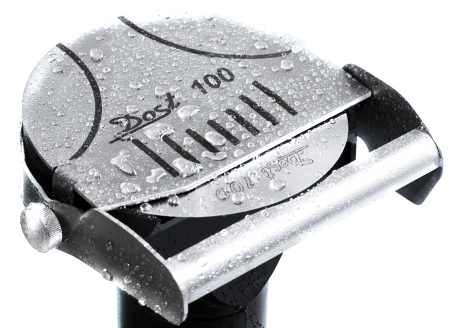 NO more burns from the grill, you can cut from any angle. 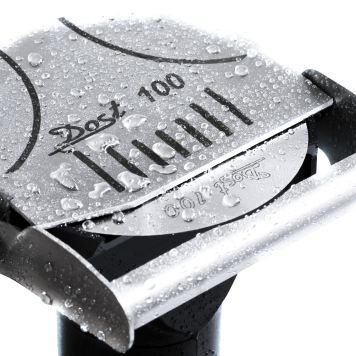 The Dost 100 is rated to cut up to 120 lbs of meat per day. This is a simple, reliable and easy to use tool. 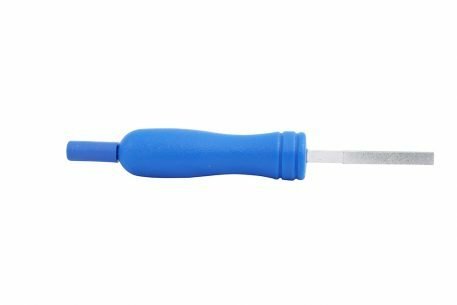 You can adjust slice thickness from 0-12 mm with one finger (no tools needed), so that you cut only part of the meat that is cooked. 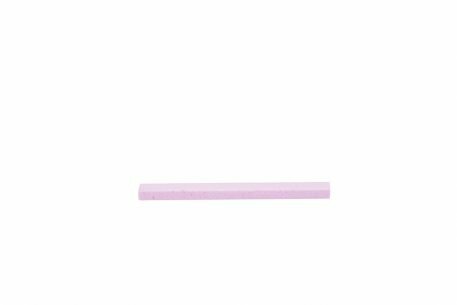 Blade is made from hardened stainless steel for long life and durable sharpness. 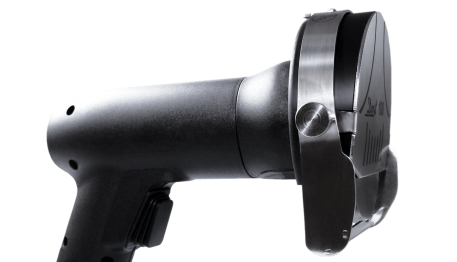 This is driven by a powerful motor contained in the handle and connected to the blade via a shaft. Unit is powered by transformer, which can be conveniently placed out of the way. Push button on the handle switches the unit on when depressed, and off when released. 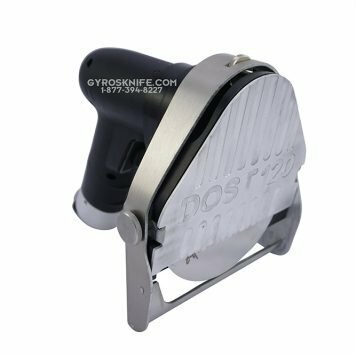 If you’d like to replace one or both smooth blades with serrated blades, please let us know. This level of quality could only mean it was made in Germany. What if it I don’t like it or it breaks? 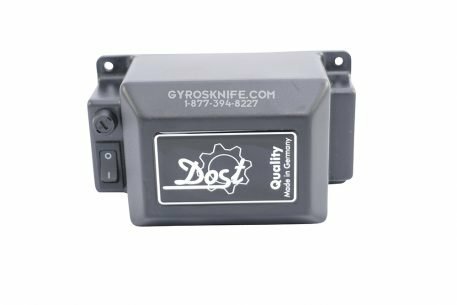 Every knife comes with a 7 day money back guarantee and one year warranty. We service and carry parts for this knife. 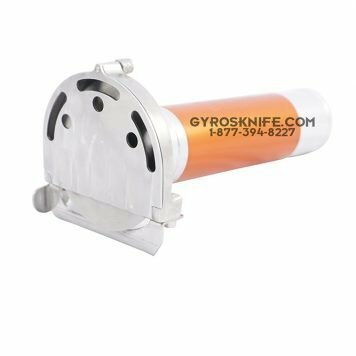 We stock few different electric knives for gyros and shawarma. Please call us to discuss which one is best for your needs. What makes this slicer different than the Chinese ones? 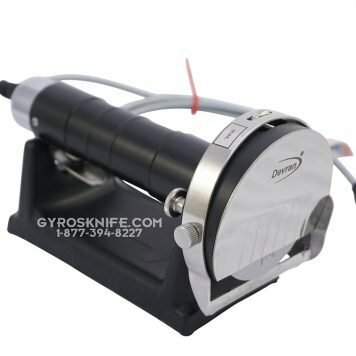 There are online companies that claim to sell heavy duty slicers with a “German Blade.” Don’t let the German flag waving in the background of these websites fool you; besides the blade, the machines they are selling are made in China. Chinese made slicers are proven to be inferior in quality and far less reliable. That’s like advertising a Chinese car that comes with German made tires; the tires last 50k miles, meanwhile the engine blows after a month. 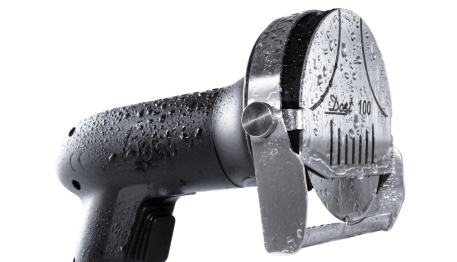 In the restaurant industry, you can’t afford to have substandard equipment. Investing in the best saves you time and money. The brands we offer have specialized in electric slicers for over 20 years. We provide service for every machine that we sell and we have parts in stock and ready to ship. All of our machines come with a 7-day money back guarantee. Where and how can I buy? We accept: Visa, MC, American Express, Paypal, personal checks and money orders. You can buy our products on our website, amazon store, or ebay store. We ship quickly to anywhere in the US, $15 extra fee for Canadian shipping. For all other countries please call or email.